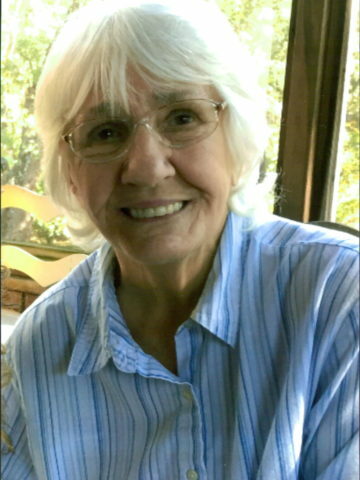 Nancy C. Anderson, November 3, 2017, age 82 of Goodlettsville. She was born in Nashville, TN on October 22, 1935 to the late George and Inez Crutchfield. She is preceded in death by her husband Jimmy D. Anderson, Sr., her daughter, Lori Anderson Hunley, her grandson, Phillip Ward Anderson, and her brother, Thomas G. Crutchfield. Survived by her sons, Thomas L. Anderson (Kathy), and Jimmy D. Anderson, Jr. (Kim); grandchildren, Chrissy (Paul) Jensen, Melissa (Benjamin) Bolton, Katlyn (Grant Pillow) Hunley, Kory Anderson, Grace Anderson, and sixteen great-grandchildren. Visitation will be at Cole & Garrett Funeral Home, Goodlettsville Monday from 2-8pm, and on Tuesday November 7 from 11 am until the service at 2pm with David Thompson, officiating. Interment will follow at Forest Lawn Memorial Gardens.